In the first instalment of our series on how profitable punting works, we look at the market and why pro punters put value above all else. Value is the mantra of every serious punter, and if you’re betting on racing and sports, capturing value is the only way to make money in the long-term. To start with, forget (for now) about backing winners. That comes much later. When you’re betting, you’re participating in a market. And it’s crucial to understand how that market works. So what do the odds actually mean? Most people answer “that’s what you get paid when you win”, which is true. But more accurately, the odds are just the decimal representation of the horse’s chances of winning. 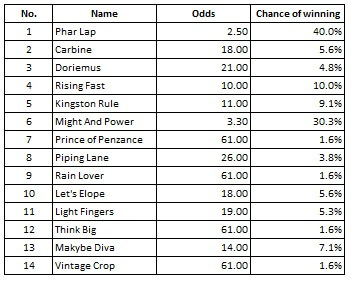 That’s what the bookmaker is showing every time he puts he puts up odds: what he thinks to be each runner’s chance. So in this case, the bookie says there’s a 40% chance that Phar Lap will win the race. Put another way… if this race were run one hundred times over, Phar Lap would win it forty times. Of course, that doesn’t happen. Each race is only run once. But in a purely betting sense, that doesn’t matter. The race may change, but the principles of the market don’t. The market for each race operates the same way. Keep backing $2.50 shots, and over time – once variance has smoothed out – you’ll see that you’re winning about 40% of the time. A $10 bet in each of one hundred races will cost you $1,000. Your forty collects of $25 will also total $1,000. As we said last week, you might have plenty of fun seeing your horse win forty times. But you can keep on doing it forever and you won’t make money. Last week we pointed out how since the start of 2016, Nathan Snow’s NSW Ratings service had placed 2,997 bets, with a winning strike rate of 14% of all bets, and a profit of over $15,000 (betting $100 per unit). The key to it? Value. Value is found when the horse’s true odds of winning are shorter than what the bookie is offering. Remember, the odds displayed aren’t hard-and-fast truth: they’re simply the bookmaker’s opinion on each horse’s chances. Nobody – not the bookmaker, not any punter – knows which horse will win. Nobody has yet worked out a way to accurately predict the future with certainty! 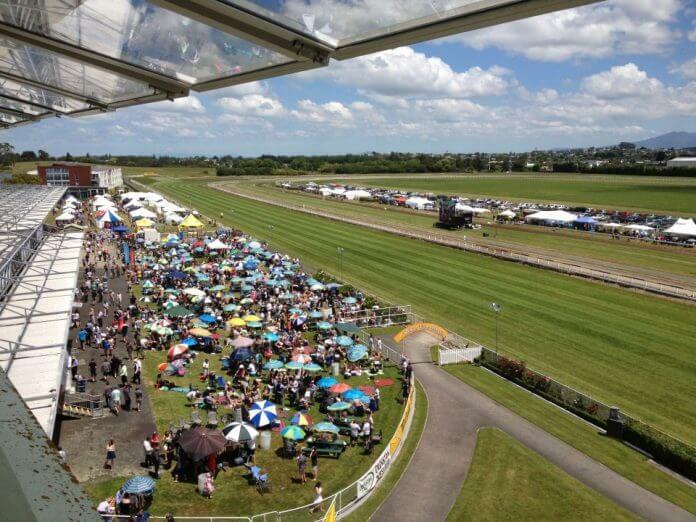 The key for any successful punter is that his reading of each horse’s chances is more accurate than the bookmaker’s. 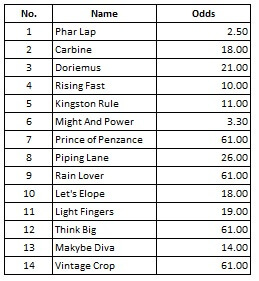 As you can see above, the punter has marked Phar Lap a $1.80 chance. The bookmaker has it available at $2.50. Provided the punter’s rating is accurate, this creates a value betting proposition. If the horse is truly a $1.80 chance then, as the odds indicate, it’s a 55% chance of winning. Or, again, it’ll win 55 times out of 100. Re-run our betting from above again: A $10 bet in each of one hundred races (at $2.50 with the bookie) will cost you $1,000. But the 55 collects of $25 gets you back $1,375. You’ve made a profit of $375. That’s the key to profitable betting. All of your bets won’t be at the same odds, but it doesn’t matter. It works all up and down the odds. It also doesn’t matter how many winners you get. As long as you’re betting to value, you’ll finish in front. So the questions remains: do you just want a lot of winners, or do you want to make money? Are a punter’s ratings profitable? As you can see, that’s a long-term equation. If you take a look at a punter’s longer-term results, you’ll see if they’re finding value or not. Check out Trevor Lawson’s Melbourne Ratings, or Nathan Snow’s NSW Ratings for an example. And stay tuned for next week, when we dig a little deeper into market percentages, and also look at variance. Part 1: What kind of punter are you?